Over the last 10 years there has been a definite increase in perimeter gates. If you need to comply with FIRE EGRESS laws for your business, or want to upgrade to an intercom released gate for your residence, you need to contact us. 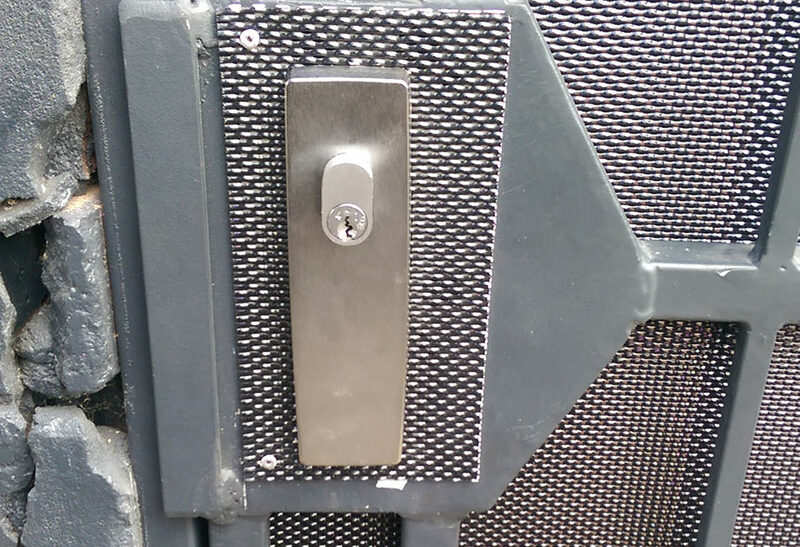 We will give you a cost effective solution which will save you replacing the entire gate. We rectify, adapt, convert and complete the process with a few coats of paint as well if need be.